A young person’s first job brings more than just a steady paycheck—the experience teaches young people life and work skills that serve them long after the job is done. Summer is a critical time for young people to get access to first jobs that can provide important skills, experiences, and networks for their future. At the same time, summer opportunities have been shown to divert youth from criminal involvement and reduce overall violence in communities. With that in mind, the White House and the Department of Labor announced new steps to advance that effort including the release of $21 million in Summer Jobs and Beyond grants to 11 communities to connect disadvantaged young people with jobs this summer and year-round. The White House is also launching 16 Summer Impact Hubs–communities that will receive robust, coordinated support from 16 federal agencies to expand and refine their summer jobs, learning, including exposure to local innovation and entrepreneurship opportunities, meals, and violence reduction programs. In February, the president called on state and local leaders, community organizations, schools, and businesses to step up to connect young people to their first jobs and summer learning, meal, and violence reduction programs. The White House launched the Summer Opportunity Project to increase the number of young Americans participating in evidence-based summer opportunity programs, decrease the percentage of youth experiencing violence over the summer, and–more broadly–make sure that young Americans have the support they need to get their first job. This work builds on the president’s My Brother’s Keeper Task Force recommendation, strengthening the case for summer youth employment and launching a cross-sector campaign to reduce summer learning loss and increase the number of job and internship opportunities for all young people. 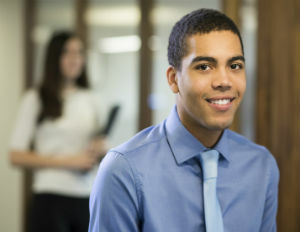 “Access to a job in the summer and beyond can make all the difference to a young person–especially those who don’t have access to many resources and opportunities,â€ said President Barack Obama in a released statement. According to White House staff, the two announcements are aimed at supporting a range of state and local leaders, community-based organizations, private sector leaders, philanthropic leaders, schools, other youth-serving agencies, and young people that are all coming together at the local level to ensure that our youth have productive, healthy summers that enhance their educational and career prospects.